The Geometric Collection represents the combined skills from multiple professions – each with an individual history, background and approach to design. 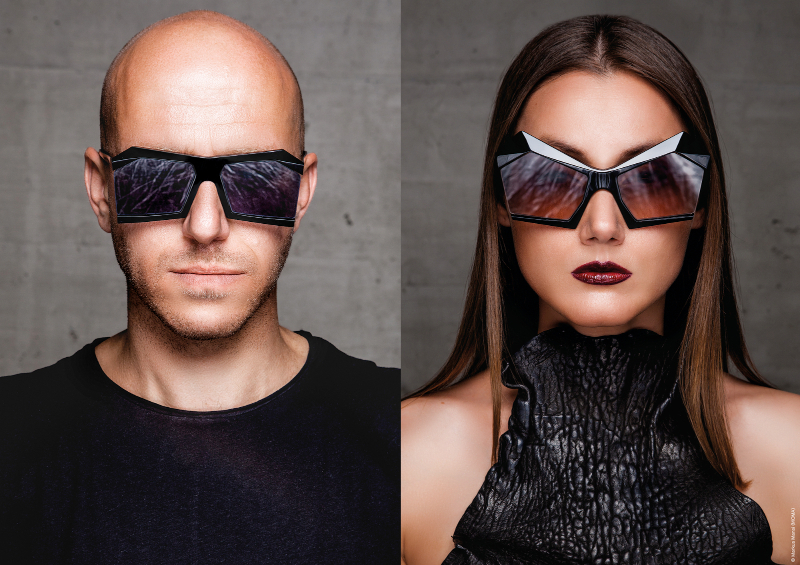 The first release of the Geometric Collection is titled Diamond Shades and is a limited edition collection which features distinct contours and facets, produced with high quality craftsmanship, made by hand in Austria. The “Geometric Collection by 13&9 for Robert La Roche” is taking the core values of a brand with a long history of ties to the art world (Robert La Roche) and accelerating it far into the future (13&9) with its geometric perfection. The result is a blend of visionary design and modern craftsmanship. Handmade in limited quantities for selected stores only, the “Diamond Shades” collection seeks to create a unique dialogue between the individual and the environment. The Geometric Collection Diamond Shades are eyewear that is designed to create a unique look on the wearer’s face through a contemporary design concept that employs complex manufacturing to process the sunglasses. The shades are both an architectural and fashionable accessory with its lenses, frame and overall appearance. Beyond the mainstream, these architecturally-inspired shades are exquisitely constructed with geometric precision strictly using converging lines, creating perfect symmetry and optimizing the relationship between angles and edges.